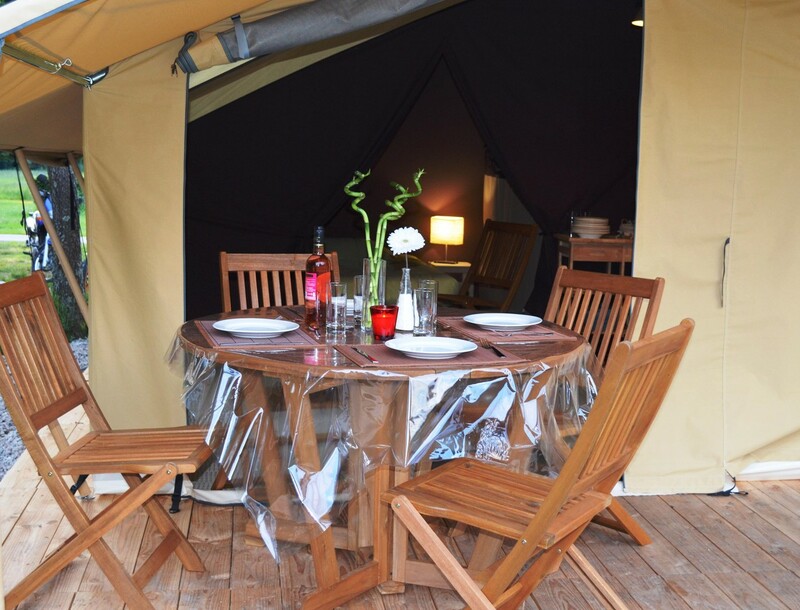 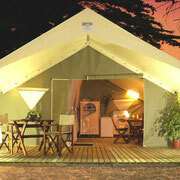 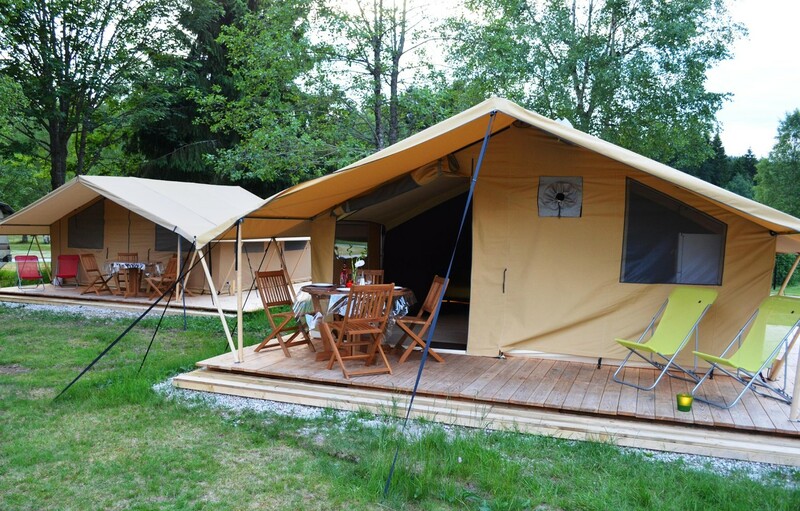 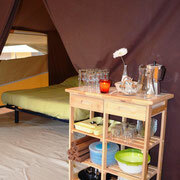 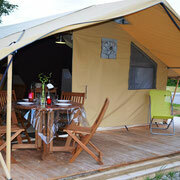 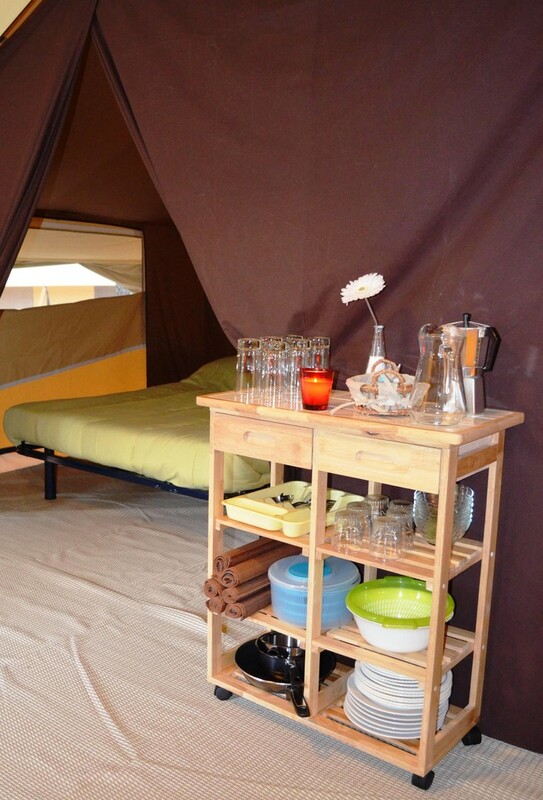 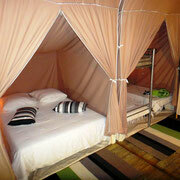 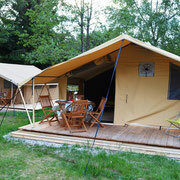 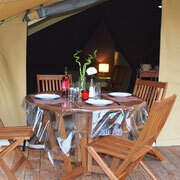 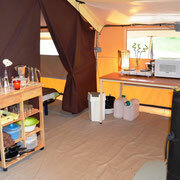 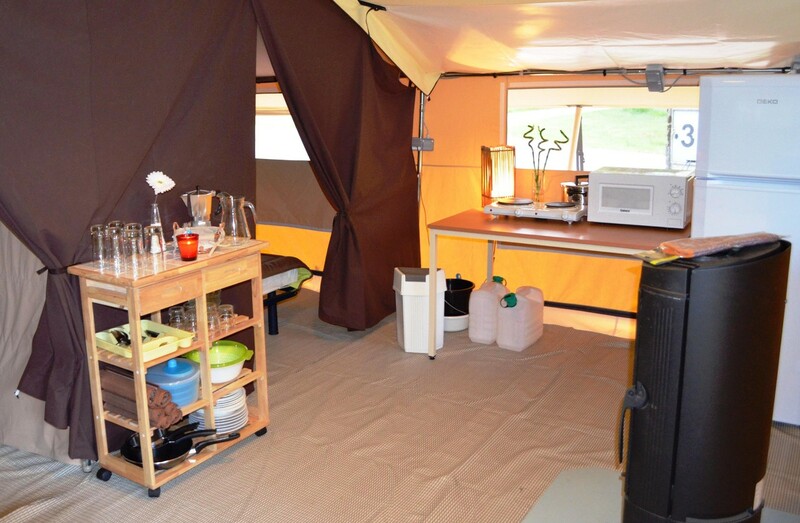 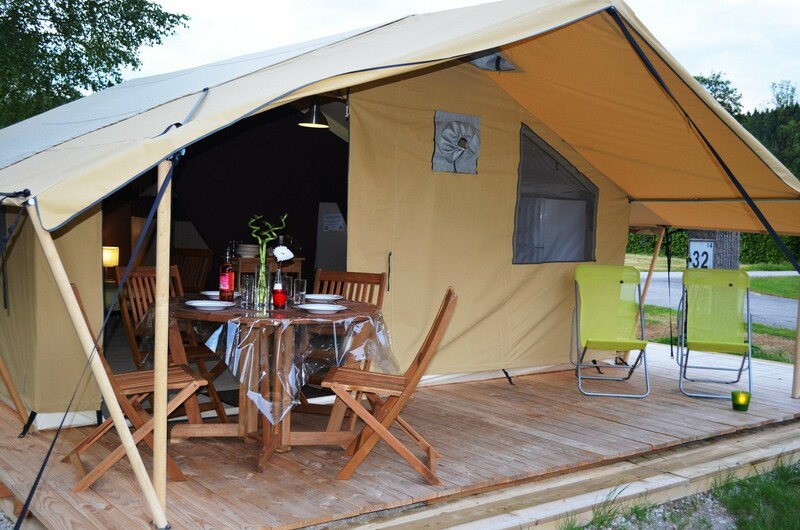 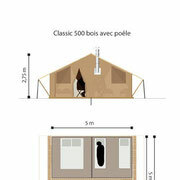 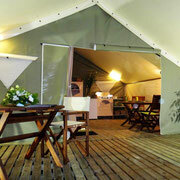 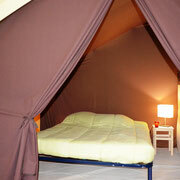 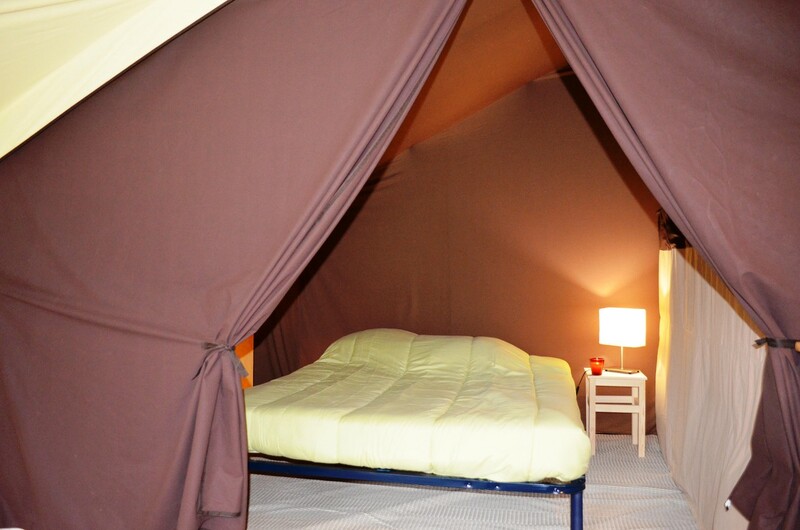 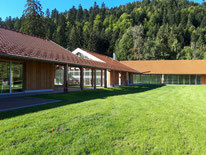 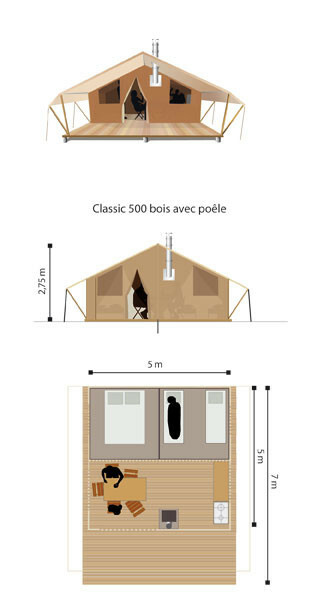 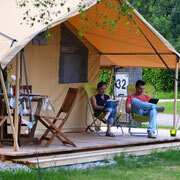 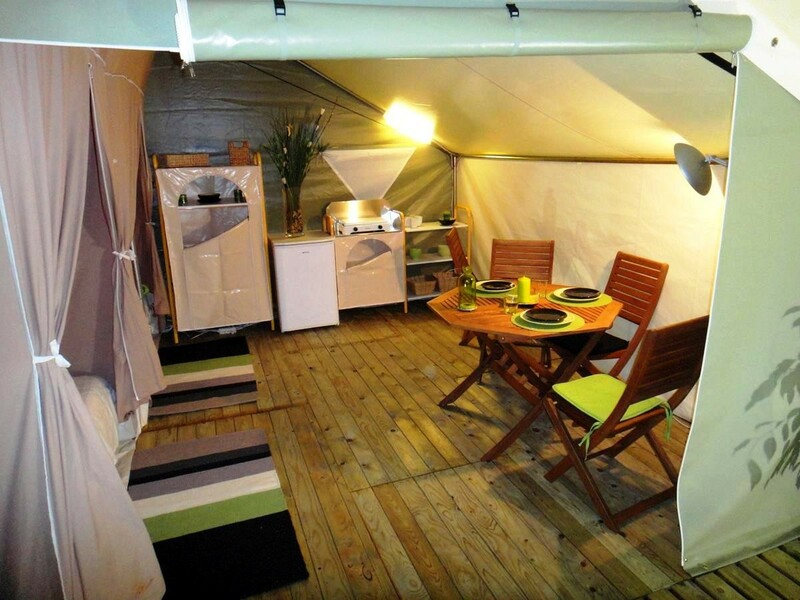 Le Domaine de Longemer offers its lodge tents, fully equipped with a comfortable and enjoyable space. 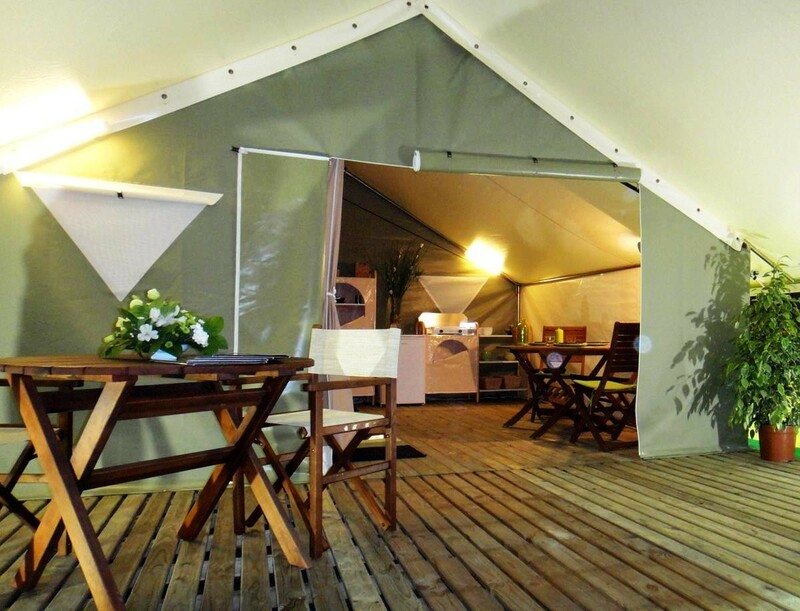 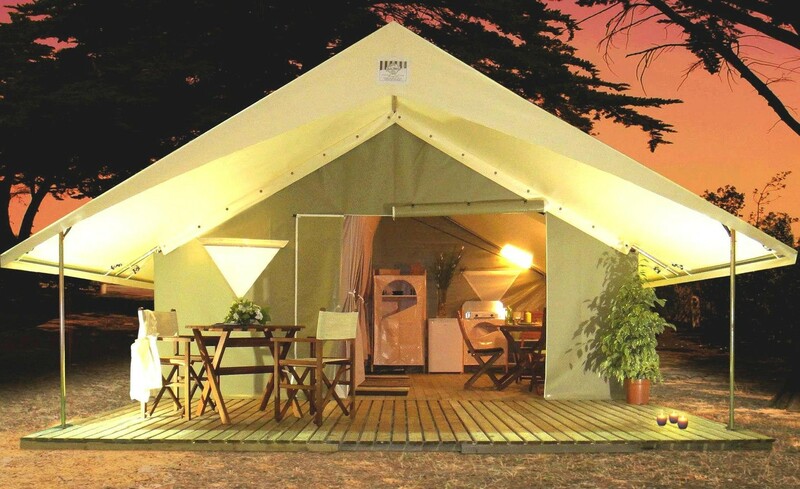 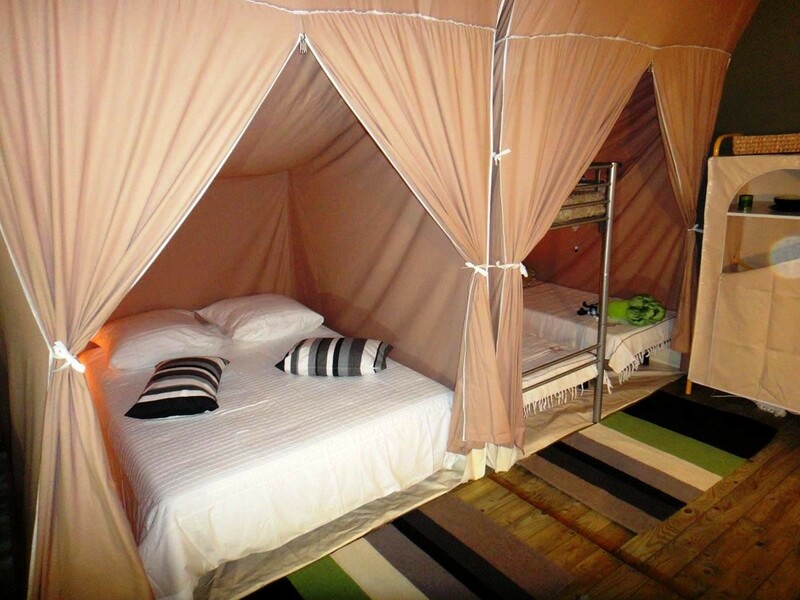 These lodge tents with 2 bedrooms can accomodate up to 5 people for a relaxing stay at the heart of nature, while preserving the camping atmosphere. 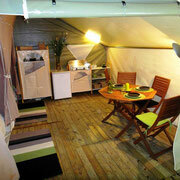 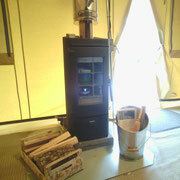 Avoid the hassle and enjoy the comfort next to the lake of Longemer whether with family or friends. 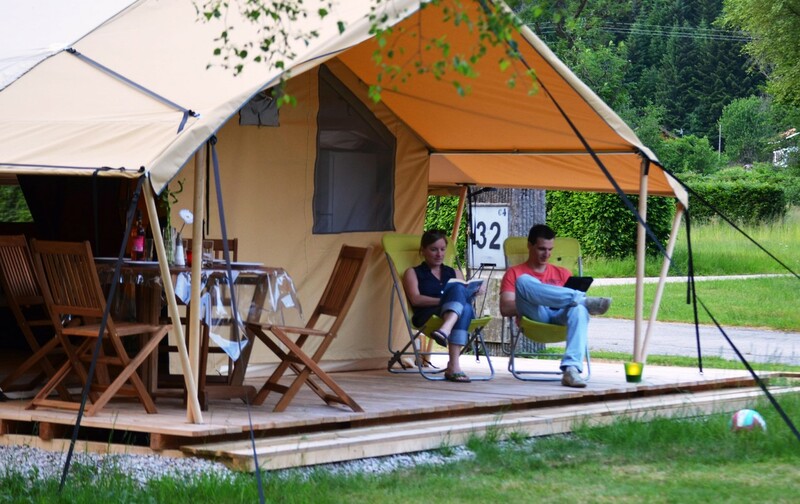 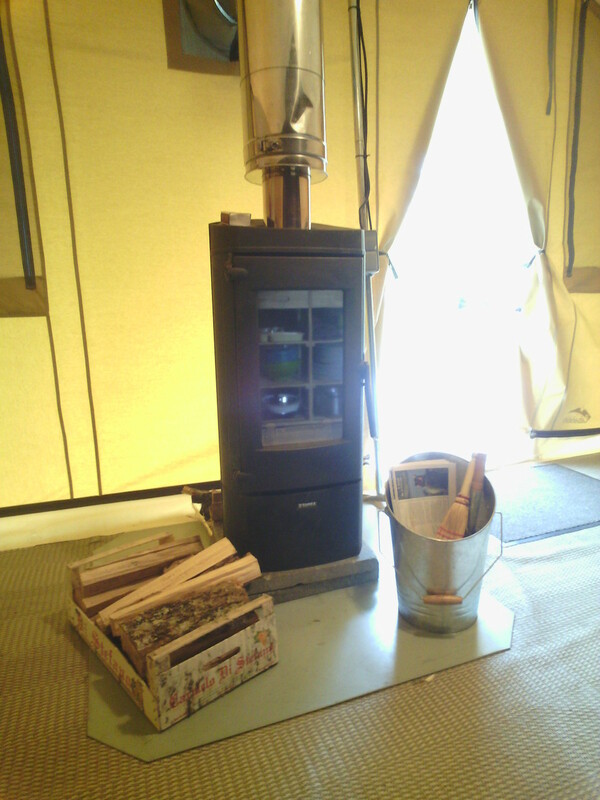 Beyond the classic lodge tent, the Comfort Lodge Tent creates a warm atmosphere in your living room thanks to a wood burning stove which will be the ally of your chilly nights. 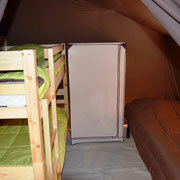 One bedroom is composed of 1 double bed (140 * 190 cm). 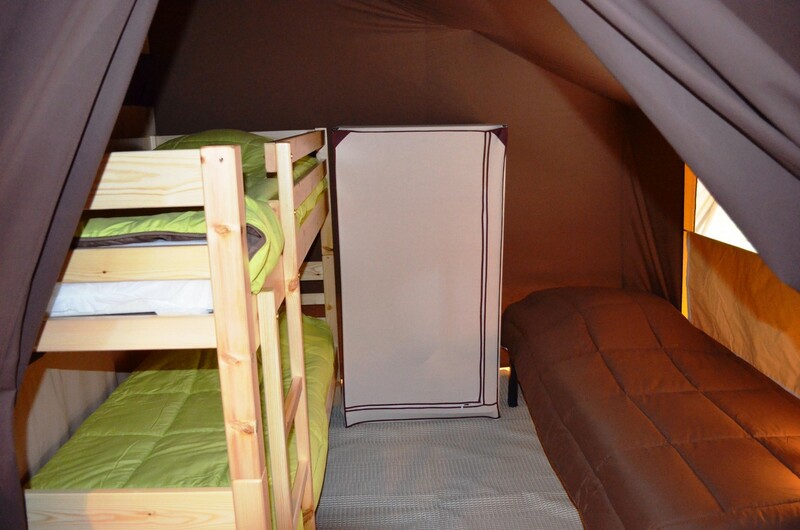 The other one has 3 beds (80 * 190 cm), with 2 bunk beds.